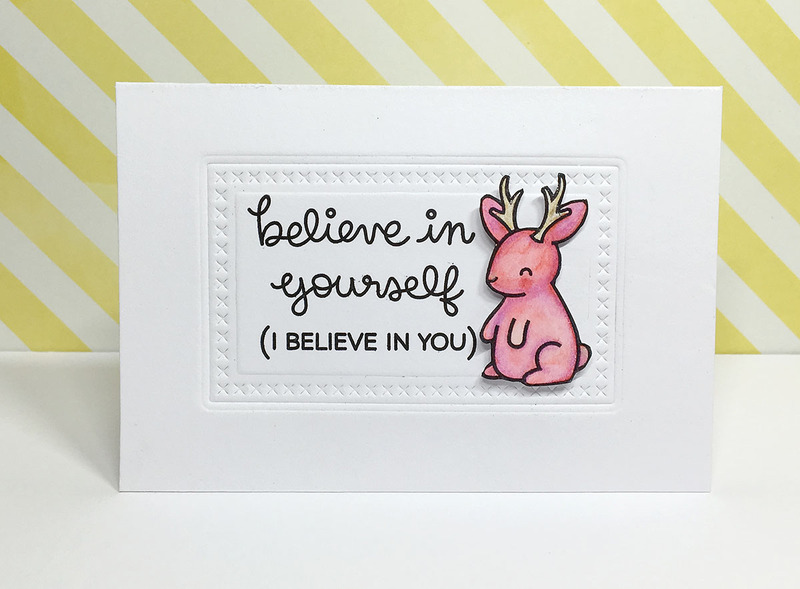 For my post this week at Design in Papers I made a card using this cute Jackalope by Lawn Fawn. I colored it using SpectrumAquas and shaded with Spectrum Noir ColourBlend pencils. I kind of like that you can cheat a bit when you aren't happy with how your watercolor turned out, I reach for the ColourBlends to add some shading where needed. In this case I experimented with adding a purple-red shade on top of the pink to make the critter look even more unbelievable. Thanks for stopping by. 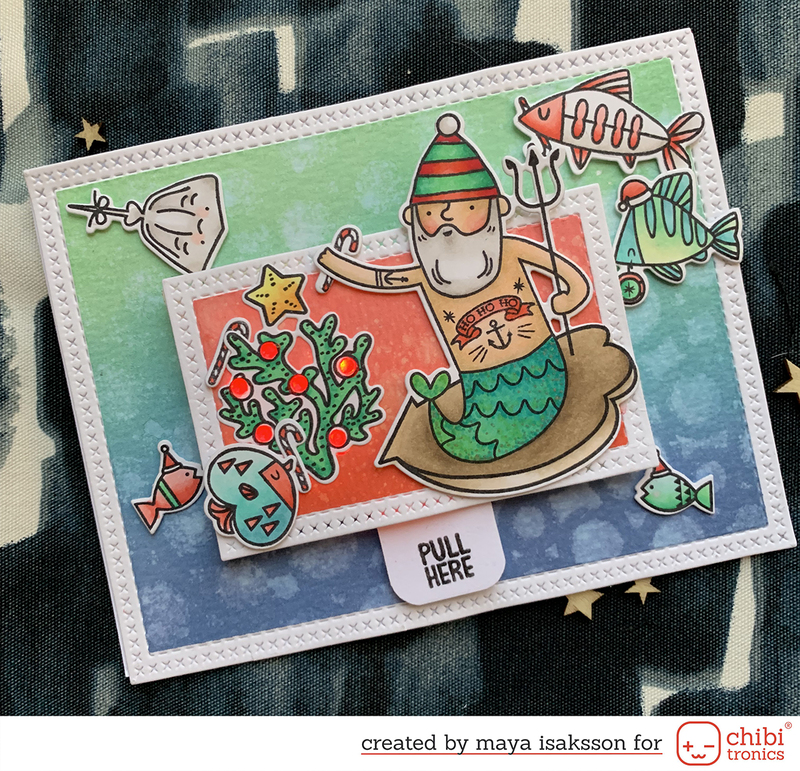 Today I will also be up with my Spectrum Noir tutorial on how to color critters using Spectrum Sparkle pens. So hop on over to the Spectrum Noir blog if you want to see a video on that. 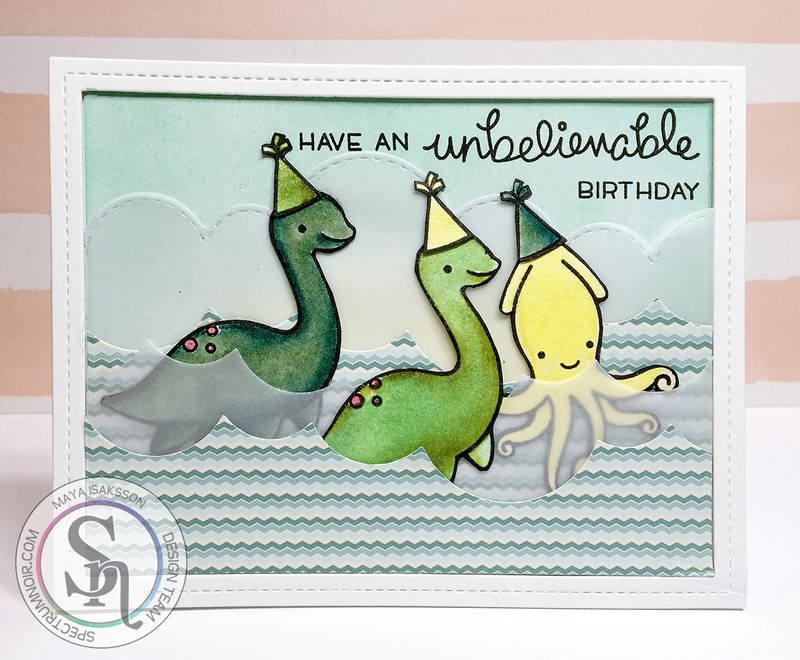 Here's how the card looked when I was done with it.